The 2012 NASCAR Sprint Cup Champion, Brad Keselowski. 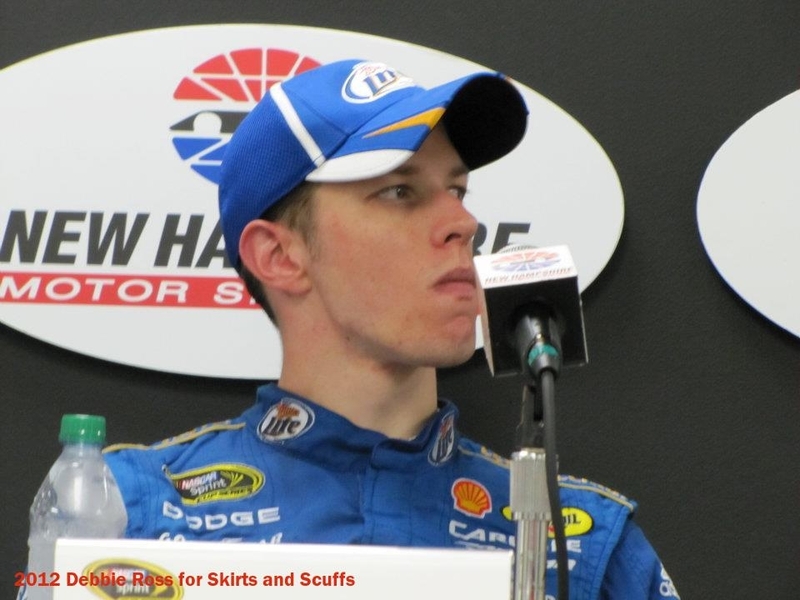 Here is Brad K. caught with an interesting expression at a 2012 press conference. "But... but... but... No more Dodge??" I will never give Montoya credit for any of my followers on Twitter. "Ummmm do I have food stuck in my teeth? Guess I'll find out—when the pic hits twitter." "You say I drank what? From where?" I don't recall that moment. "Okay, stop talking about everyone but ME!"